Background: The Meadows, is an annual festival held at Citi Field (NYC) with headlines from top artists including Jay-Z, Red Hot Chili Peppers and The Gorillaz. The Mission: Understanding the importance of telling a strong visual story, our team was brought on to manage the creative production of content with a team of 16. 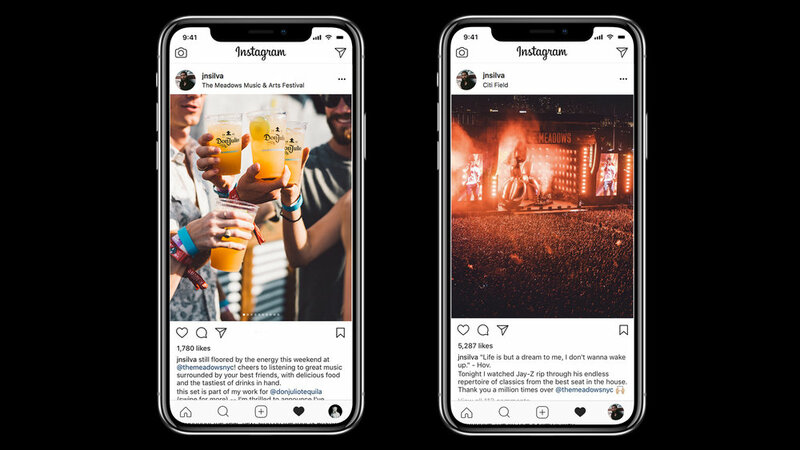 The content captured included music, sponsorships (American Eagle, Bud Light, Don Julio, Samsung, Vice), energy, and overall aesthetic for the brand. Accomplished: The end result included a content warehouse with over 1,000 images, videos and cinemagraphs that are carefully organized for The Meadows to use for their website, social and paid media channels. 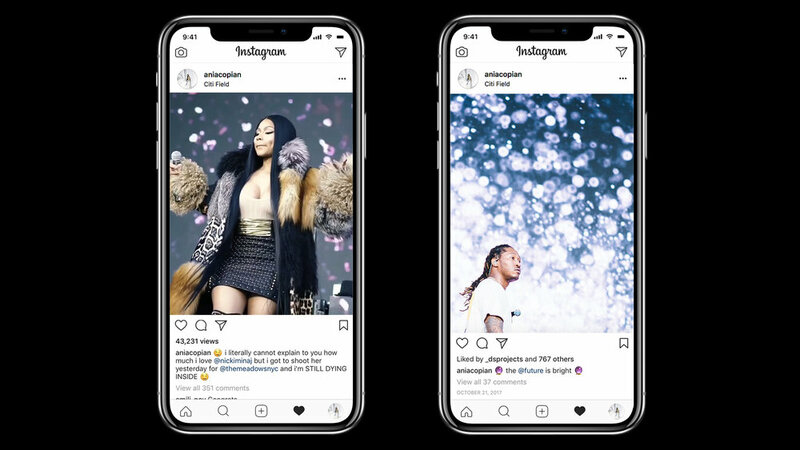 This content was also amplified throughout the weekend on each of the creator's personal social media channels, gaining a total of over 3,000,000 impressions over the course of three days. See below for music and sponsorship content & social amplification.